Chaminade High School has been serving the Long Island community since its founding in 1930. The school is owned and operated by the Society of Mary, the Marianists, and is named after Blessed William Joseph Chaminade. Blessed Chaminade founded the order as a priest working to evangelize post-revolutionary France. Our 1,700 men study a rigorous co-curricular, liberal-arts curriculum in an atmosphere that emphasizes the development of Christian community and education of the heart. That program consists of four years of the core subjects, physical education, three years of fine arts and one year of health. Chaminade graduates are fully prepared for the most demanding of college curricula, and, each year, 100% of Chaminade graduates attend colleges, universities, prep schools, and service academies. 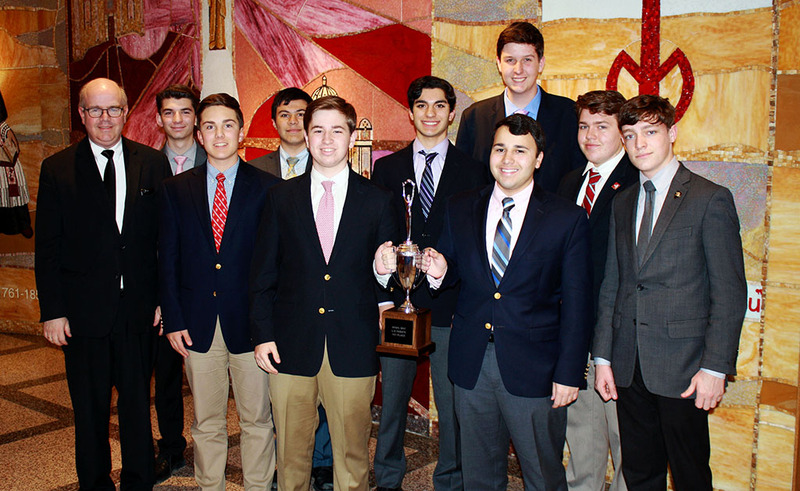 More than 90% of Chaminade students are engaged in one or more school activities, and more than half participate on interscholastic athletic teams. For the last 86 years, the Chaminade Family has grown to include more than 19,000 alumni -- and many more parents, grandparents, and friends. "Being a Chaminade alumnus has impacted my career," said Chris Concannon ’85, whose son is also a current Chaminade student. "When I see Chaminade on a resume, that man gets a call." "We felt a close family relationship with all of the people at Chaminade," said James Marchetta. "Once our son graduated, we realized we didn't want to lose what we had here." 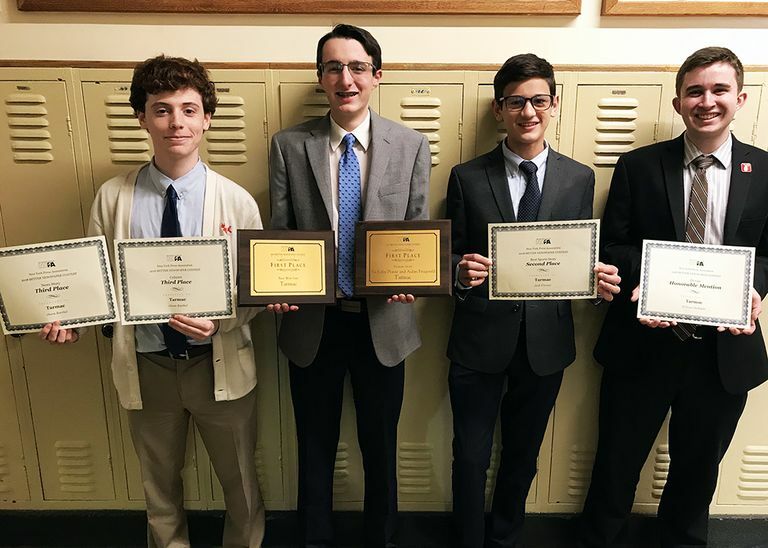 Chaminade student journalists were honored by the New York Press Association at its Better Newspaper Contest in Albany. 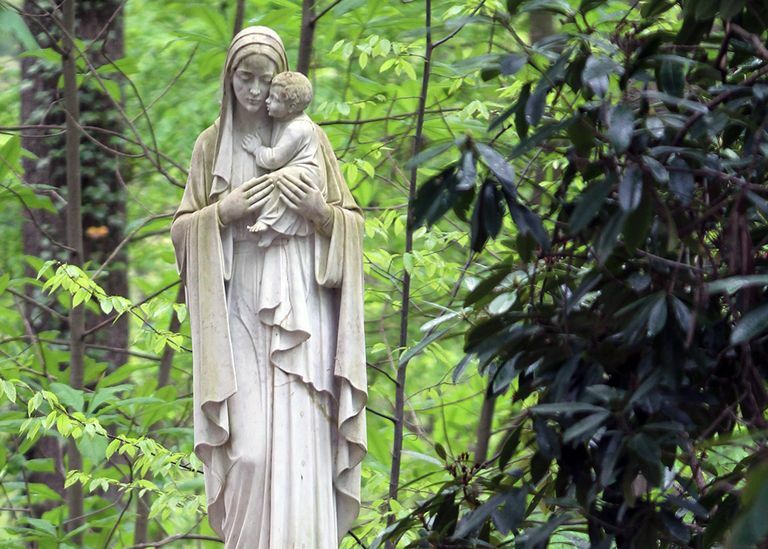 A Marian Morning of prayer and reflection for Chaminade parents, CAPA members, alumni, and friends is planned for Monday, May 6 at the Seminary of the Immaculate Conception in Huntington.